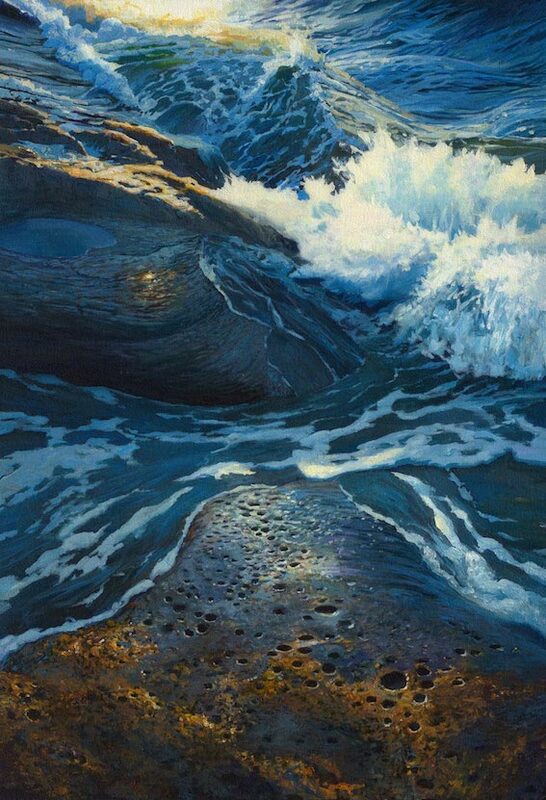 Water, Rocks & Evening Light giclée 12 x 30 in. 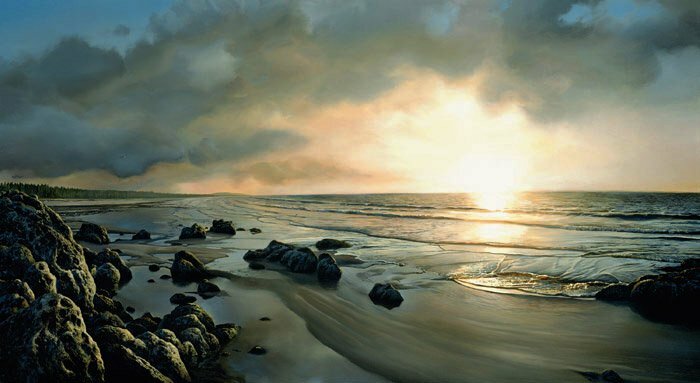 Divine Afternoon giclée 12 x 30 in. Ancient Rhythm giclée 12 x 30 in. Stranded in Shadows giclée 12 x 30 in. 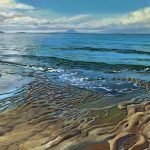 Drumbeg Point giclée 12 x 30 in. 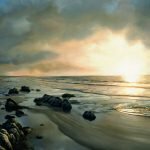 Sunset on the North Shore giclée 22 x 40 in. 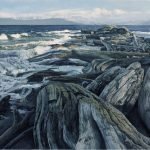 Arriving from Ontario in 1973, Paul Grignon has been painting vibrant images of Gabriola and the West Coast ever since. 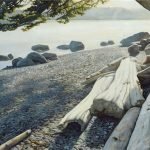 Building a house and supporting a family of six with his partner Tsiporah, Paul took the plunge to become a full-time professional artist in 1982 with a year spent creating feature dioramas in the Nanaimo Museum, followed by a series of outdoor murals in Nanaimo and Ucluelet. 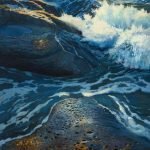 His acrylic paintings sold locally, on Vancouver Island, and at showings in White Rock, Vancouver, Toronto, the UK, New York and Carmel, California. 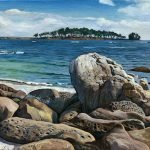 Most popular are his affordable giclée prints, often bought by those whose circumstances require leaving this serenely beautiful rock in the sea.